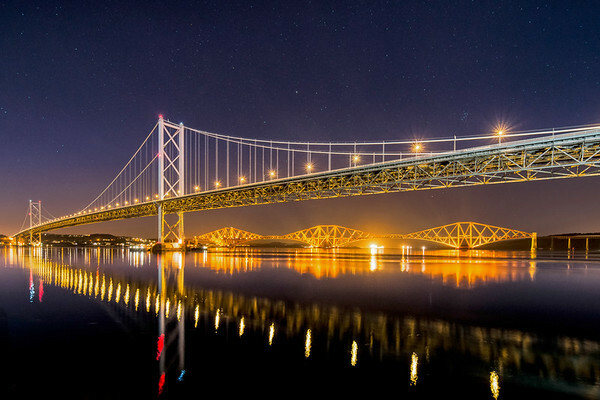 With the Forth Bridge in the background and the Forth Road Bridge in the foreground, the view from Port Edgar is truly stunning. This long exposure really allowed me to smooth out the night time water and get that classic 'star-burst' effect on the bridge lights. As it was a clear night, the stars were easily visible too!